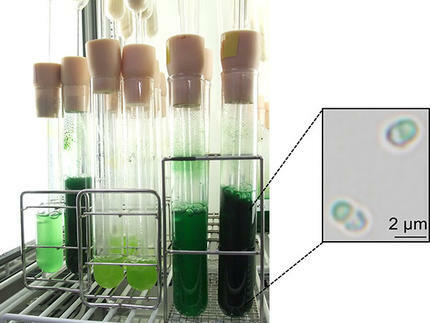 Results from a collaborative study by Tokyo Tech and Tohoku University, Japan, raise prospects for large-scale production of algae-derived starch, a valuable bioresource for biofuels and other renewable materials. Such bio-based products have the potential to replace fossil fuels and contribute to the development of sustainable systems and societies. 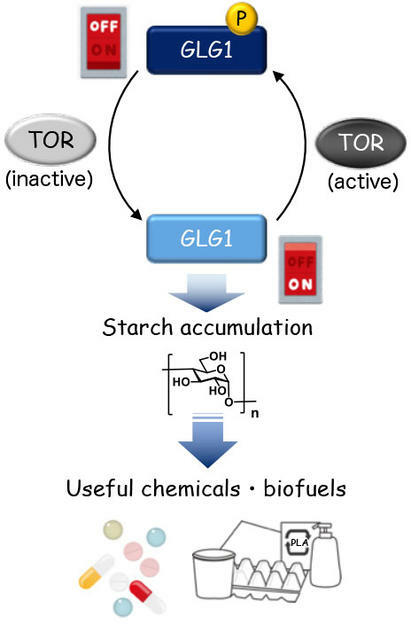 A "switch" controlling the level of starch content in algae has been discovered by a research team led by Sousuke Imamura at the Laboratory for Chemistry and Life Science, Institute of Innovative Research, Tokyo Tech. The study focused on the unicellular red alga Cyanidioschyzon merolae. The researchers demonstrated that starch content could be dramatically increased in C. merolae through inactivation of TOR (target of rapamycin), a protein kinase known to play an important role in cell growth.